Februar | 2010 | way above the level. 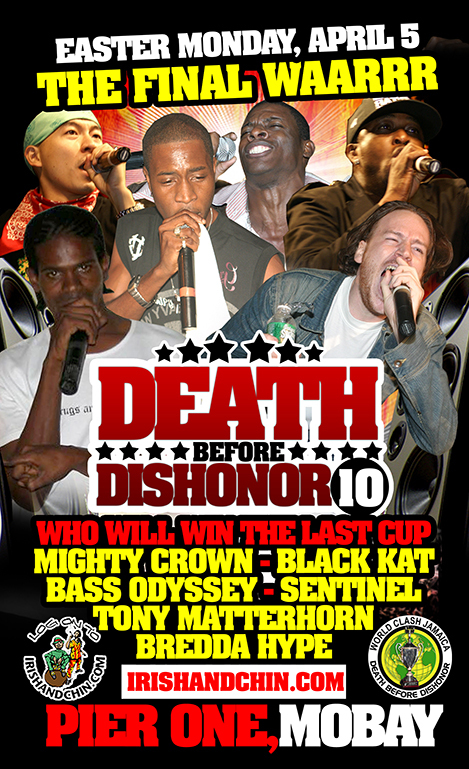 Just received the flyer for this years Death before Dishonor Clash at Pier One in Mo’Bay, Jamaica going down on Easter Monday, April the 5th. 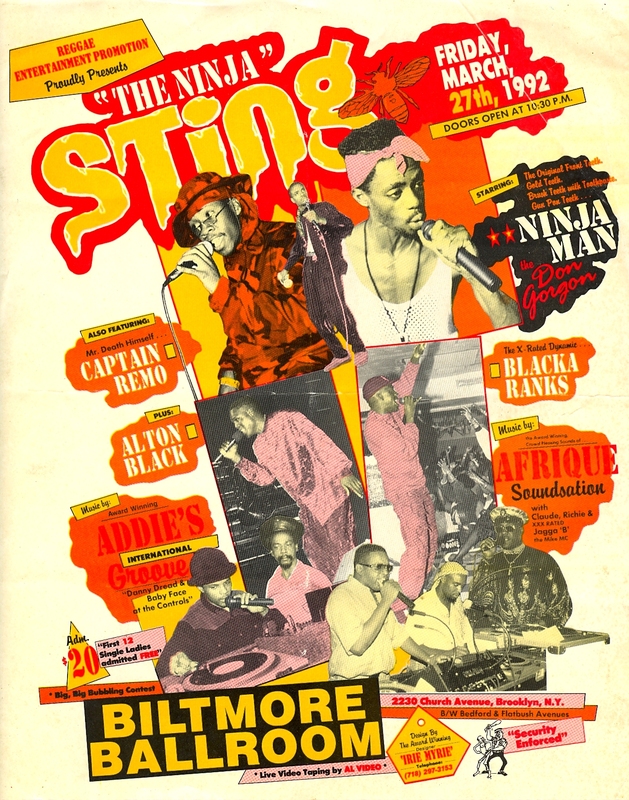 The Clash is called „Who will take the Last Cup“ and features the likes of Mighty Crown, Black Kat, Bass Odyssey, Sentinel, Tony Matterhorn and Bredda Hype. Even though me personally don’t like this big clashes with x-amount of contestants, i’m pretty excited about Matterhorns Comeback to the Clash-Stage. 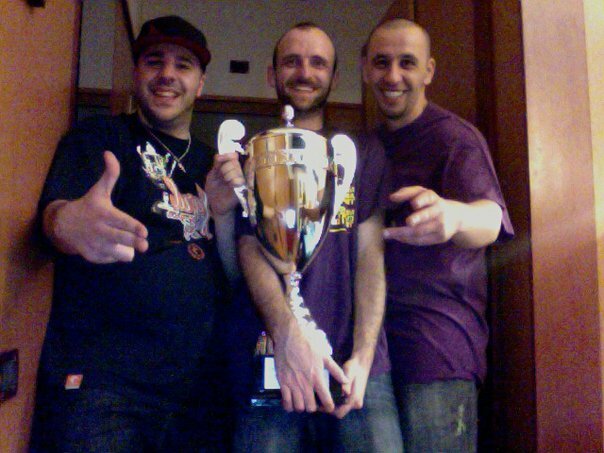 HERBALIZE-IT won against Young Hawk outta the Bronx in Wuppertal, Germany, and Irie Crew defeated One Love Hi-Powa in Bologna, Italy. Well, this ain’t your average Reggae/Dancehall-Singer, and especially the riddims may be a little out of your horizon, but I’m totally feeling Jahdan Blakkamore and his LP „Buzzrock Warrior„. For me personally, this LP is the Reggae Album of the year 2009. There’s no other piece of music I’ve listened that heavy frequently the couple last months. A while ago he’s been to germany with his Producer/DJ Matt Shadetek, of Dutty Artz, to do some shows, and Buntch.tv has filmed the one in cologne. Just found this recording of a Good Vibration & Kalibandulu Dance on the net and want to share it with you, because me rate Kloipi, the MC for Good Vibration, amongst the best Soundsystem-MCs in Europe. EDIT: Here are the Kalibandulu Parts of the Dance! If you want to find out more about the sounds, check the interviews with both of them. 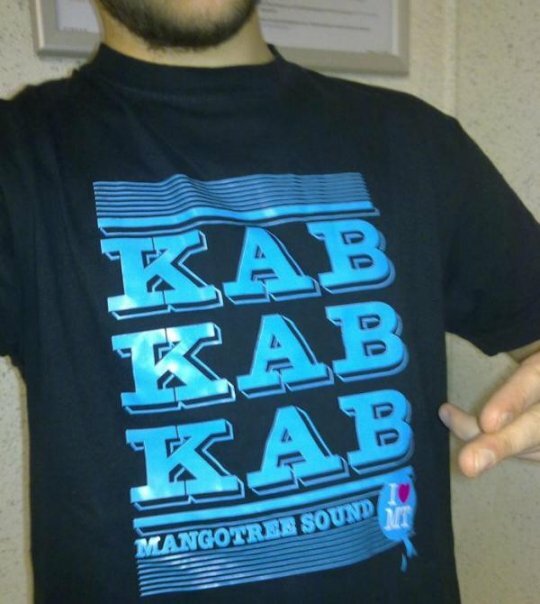 Wow, look at this incredible shirt Mango Trees MC Floris just came up with. Requested to all the Fire Links Fans out there. What can I say, I love MT. …at Goldshop Reggae, just the way i like! Thanks to Seen for the hint.